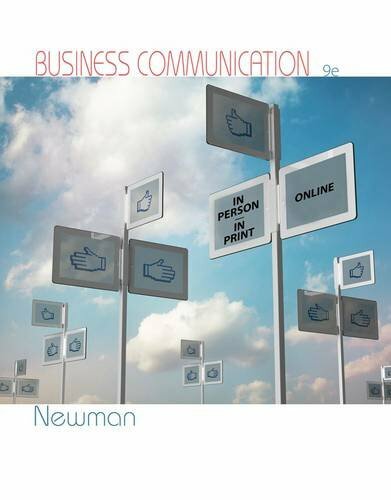 BUSINESS COMMUNICATION: IN PERSON, IN PRINT, ONLINE, 9E offers a realistic approach to communication in today's organizations. The text covers the most important business communication concepts in detail and thoroughly integrates coverage of today's social media and other communication technologies. Building on core written and oral communication skills, the ninth edition helps readers make sound medium choices and provides guidelines and examples for the many ways people communicate at work. Readers learn how to create PowerPoint decks, use instant messaging and texting effectively at work, engage customers using social media, lead web meetings and conference calls, and more.